Christopher Purves makes his role debut as Borée in Rameau Les Boréades on 22 March 2019, starring in a new production directed by Barrie Kosky at Opéra de Dijon. The production is conducted by Emmanuelle Haïm and also marks Purves' debut at the house. It is also Purves’ second appearance in a Kosky world premiere following his critically acclaimed performances in Saul with Glyndebourne Festival Opera in 2015. Les Boréades runs in Dijon until 28 March. Christopher Purves returns to Glyndebourne Festival Opera this season as Golaud in Pelléas et Mélisande, which opens on 30 June 2018. Robin Ticciati conducts Stefan Herheim's new production, Glyndebourne's first in 20 years. John Chest sings Pelléas, while Christina Gansch takes the role of Mélisande. "Christopher Purves, who in his closing hymn to nature, secures his position as one of our finest British baritones." "And what Purves does with his part is extraordinary: by turns pathetic, murderous, and ridiculous, he becomes the real subject of the drama, but rather than being gawpers in Bedlam we are brought to an infinitely more compassionate place." Pelléas et Mélisande runs until 9 August. Christophoros Stamboglis returns to Opéra de Rennes on 28 May 2018 as Oroveso Norma in a production directed by Nicola Berloffa and conducted by Rudolf Piehlmayer. Recent highlights for Stamboglis include Rimondo in Katie Mitchell’s acclaimed production of Lucia di Lammermoor at Greek National Opera, Kalman Zsupan in Johann Strauss Der Zigeunerbaron at Grand Theatre du Geneve, Andrea Cornaro in the rarely performed opera La reine de Chypre at Théâtre des Champs-Elysées, Don Basilio Il barbiere di Siviglia at the Glyndebourne Festival and BBC Proms, Don Pasquale at Opéra de Rennes and a return to Bayerische Staatsoper to debut as Oroe in David Alden’s new production of Semiramide. On the concert platform he performed Verdi Requiem with the City of Birmingham Symphony Orchestra and Edward Gardner. Later this season Stamboglis appears in Nikos Kypourgos Medea at Greek National Opera. Performances of Norma continue until 5 June. Richard Egarr returns to the Barbican Centre this month alongside his Academy of Ancient Music for a performance of Handel Messiah on 20 December 2017. Egarr is joined for the concert by Intermusica's Mary Bevan, Thomas Hobbs and Christopher Purves, as well as countertenor Reginald Mobley. “The emotional trajectory was securely plotted, with the central depiction of the Passion and resurrection admirably taut, and the great outpouring of joy reserved for the final vision of how “the dead shall be raised incorruptible” on judgment day…. Vocally, much of it was remarkable." Mary Bevan begins 2018 in Madrid where she sings Rose Maurrant in Weill’s Street Scene for Teatro Real. Later in the season she returns to the Barbican, this time with the Royal Opera, to sing the title role in the world premiere of Mark-Anthony Turnage’s Coraline. Thomas Hobbs also performs in Canada this month, singing Bach cantatas with Les Violons du Roy and Bernard Labadie. He begins the new year singing Bach Christmas Oratorio with the Danish National Symphony and Marcus Creed and joins Collegium Vocale Gent on tour at the end of January. Christopher Purves has just made his debut as Trinity Moses in Weill’s The Rise and Fall of the City of Mahagonny for Opernhaus Zurich under Fabio Luisi and this month also sings Berlioz l’Enfance du Christ with the Deutsches Symphonie-Orchester and Robin Ticciati. On 17 December, Deutsches Symphonie-Orchester Berlin presents Berlioz L’enfance du Christ at the Berliner Philharmonie, with Jacques Imbrailo and Christopher Purves singing the roles of Joseph and Herod respectively. The performance is semi-staged by Fiona Shaw and conducted by Robin Ticciati. Allan Clayton and Sasha Cooke take the tenor and mezzo-soprano roles. Christopher Purves joins Sir Simon Rattle and the London Symphony Orchestra at the Barbican Centre on 17 and 19 September 2017, stepping in for Gerald Finley as Mephistopheles in Berlioz The Damnation of Faust. The concerts form part of the LSO's This is Rattle series marking Rattle's inaugural year as musical director of the orchestra. The Damnation of Faust is a hybrid of opera, oratorio and, in the composer’s own words, "dramatic legend", which follows Goethe's legendary Faust through his tragic tale. Later in the week Purves joins the London Philharmonic Orchestra and fellow Intermusica artists Sir Willard White, Felicity Palmer and Ruxandra Donose in a performance of Enescu Oedipe at the Royal Festival Hall on 23 September. Sir Willard White, Dame Felicity Palmer, Christopher Purves and Ruxandra Donose join the London Philharmonic Orchestra in Bucharest on 2 September 2017 for a performance of Enescu Oedipe at the Enescue Festival. Conducted by Vladimir Jurowski, the performance also features the Choir of the George Enescu Philharmonic and the Romanian Radio Children's Choir. The four singers rejoin Jurowski and the LPO in London later in the month for a second performance of Oedipe at the Royal Festival Hall on 23 September. Christopher Purves makes his second appearance at the 2017 BBC Proms in a performance of Schoenberg Gurrelieder on 19 August 2017. Purves performs the work alongside the London Symphony Orchestra and Music Director Designate, Sir Simon Rattle. The performance is the culmination of another busy season for Purves, featuring critically acclaimed performaces as Alberich in Das Rheingold with the New York Philharmonic, the title role of Saul in Barrie Kosky's production at the Adelaide Festival, the Protector in Written on Skin at Covent Garden and Don Giovanni at English National Opera. Purves' highlights in the forthcoming season include a debut with Zurich Opera as Trinity Moses in Weill The Rise and Fall of the City of Mahagonny and a return to Glyndebourne as Golaud in Pelleas et Melisande. Christopher Purves begins June in New York, performing as Alberich in the New York Philharmonic's enhanced concert production of Wagner Das Rheingold on 1, 3 and 6 June 2017. Alan Gilbert conducts the performances, which form part of his farewell to the orchestra. Louisa Muller directs the production. "the booming-voiced Christopher Purves makes the dwarf Alberich into a figure seething with anger and greed." Christopher Purves and Mary Bevan travel to Australia this month to star in Handel Saul at the Adelaide Festival from 3 March 2017. The performances mark the Australian premiere of Barrie Kosky’s acclaimed production, which debuted at Glyndebourne Festival Opera in 2015. "Christopher Purves’s magnificently insecure, vindictive and snarling Saul gets madder and madder... commanding presence..."
Bevan meanwhile makes her role debut as Merab and reunites with Purves following their recent performances together in Richard Jones' new production of Don Giovanni at English National Opera. Her other highlights this season also include a tour of Asia with the English Concert and Harry Bicket, as well as concerts with the Academy of Ancient Music. Saul runs at the Adelaide Festival until 9 March. Christopher Purves returns to the Royal Opera House, Covent Garden on 13 January 2017 for a revival of Katie Mitchell’s acclaimed production of George Benjamin Written On Skin. Purves reprises the role of the Protector, which he created for the opera’s premiere in 2012 at the Aix-en-Provence Festival and has performed at major houses around the world. Purves’ 2017 sees him reprise the title role in Saul at the Adelaide Festival and return to Houston Grand Opera as Alberich in the next instalment of their Ring Cycle. On the concert stage Purves performs as Alberich in Das Rheingold with the New York Philharmonic and Alan Gilbert, and Don Pizzaro in Fidelio with Vladimir Jurowski at the London Philharmonic at the Royal Festival Hall. Following opening night, Written On Skin is performed on 18, 23, 27 and 30 January. 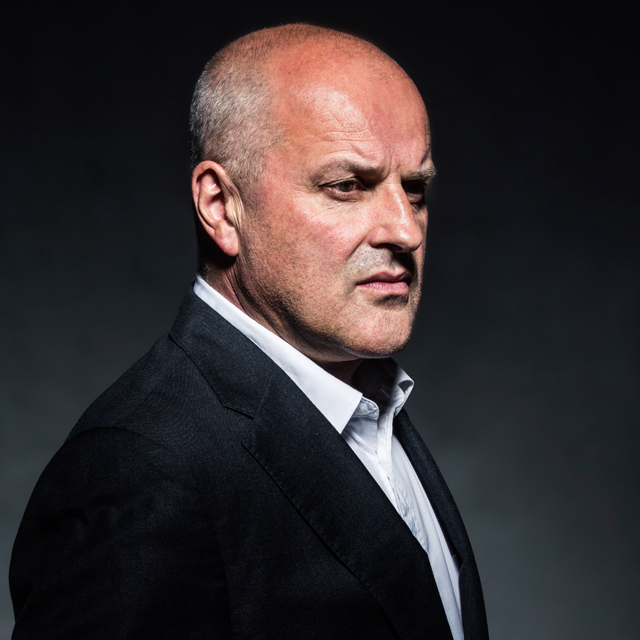 Christopher Purves stars in the title role of Mozart Don Giovanni alongside Mary Bevan as Zerlina under the baton of Mark Wigglesworth in Richard Jones' new production for English National Opera, which opens on 30 September 2016. Later this season Purves returns to the Royal Opera House, Covent Garden, in the role of Protector in George Benjamin Written on Skin. The role has recently garnered Purves considerable acclaim throughout Europe and North America. Previously a Harewood Young Artist, soprano Mary Bevan returns to the ENO after last season’s success as Yum-Yum in The Mikado. This summer she also appeared at Garsington Opera as Elvira in Rossini L’Italiana in Algeri, and later this season headlines a concert tour to Asia alongside Tim Mead with Harry Bicket and The English Concert. "The opera’s passion and compassion burn fiercely yet lingeringly: this is an interpretation that seeps under your skin rather than hits you in the solar plexus and is unquestionably all the more powerful for it." "Thanks to Mark Wigglesworth and a glowing ENO orchestra... it’s a true company achievement, and a life-enhancing, gloriously creative example of what opera in the 21st-century West End can be." "Mark Wigglesworth conducts them in a masterly interpretation marked by extreme contrasts between silken sensuous pianissimi and boilingly thunderous fortissimi. The playing is as good as anything in London." Daily Telegraph (Lady Macbeth of Mtsensk). Don Giovanni runs until 26 October at the London Coliseum. Click here to read more about the production, including an interview with Purves and Jones. Christopher Purves returns to Glyndebourne this summer as the Forrester in Janacek The Cunning Little Vixen, which opens on 12 June 2016. Jakub Hrůša conducts Melly Still’s production, which also features Elena Tsallagova, Alžbĕta Poláčková, and Alexandre Duhamel as well as the London Philharmonic Orchestra. Purves is also joined by Jerwood Artist Natalia Tanasii who makes her Glyndebourne debut as Chocholka / The Hen as well as covering the title role. "Christopher Purves is astonishingly physical in the central role of Saul; ... everything he does is freighted with meaning. The way in which his envy of the triumphant David morphs into murderous hatred is graphically charted"
"Christopher Purves, riveting as the volatile Lear-like figure of Saul… the sheer vividness of his acting and his enunciation carries all before him." This season has seen Purves reprise the role of the Protector in George Benjamin Written on Skin with the Mahler Chamber Orchestra on their hugely successful European tour. He repeats the role next season at the Royal Opera House, Covent Garden. In September, Purves takes the title role of the English National Opera’s new production of Mozart Don Giovanni. Tanasii is a graduate of the Moldovan National Music & Arts Academy and the young ensemble of Den Norske Opera & Ballet. She returns to Oslo next season to perform as the soprano soloist in a staged production by Calixto Bieito of Britten’s War Requiem as well as making her debut as Fiordiligi in a new production of Cosi fan tutte. The Cunning Little Vixen runs until 31 July. Mark Wigglesworth, Rhian Lois and Christopher Purves mark the anniversary of Shakespeare’s birth, and 400 years since his death, on 23 April in Stratford-upon-Avon. Lois, Purves and Wigglesworth join the Orchestra of English National Opera on the stage of the Royal Shakespeare Theatre in Stratford-upon-Avon for Shakespeare Live!, a collaboration between the Royal Shakespeare Company and ENO. Lois will sing the role of Héro in duet 'Vous soupirez, madame!' from Berlioz's Béatrice et Bénédict, while Purves will sing extracts from Verdi’s Falstaff, all alongside performances from renowned actors and dancers celebrating Shakespeare’s influence on drama, music and dance. Mark Wigglesworth will conduct and David Tenant and Catherine Tate will present the evening. Simon Russell Beale, Benedict Cumberbatch, Dame Judi Dench, Sir Ian McKellan and Helen Mirren are among the night’s other performers. The show will be broadcast live on BBC Two from 8.30pm and will be screened live to Picturehouse cinemas in the UK and Europe, and around the rest of the world by BBC Worldwide. Find out more about the Shakespeare celebrations taking place in 2016 on the Shakespeare400 website. 'Shakespeare Live! From the RSC' is available on BBC iPlayer until 21 May. Christopher Purves & Tim Mead have received acclaim throughout Europe for their roles in Written on Skin, described as “exquisite” and “a marvel”, on tour with the Mahler Chamber Orchestra. Beginning on 12 March in Dortmund, the tour stopped at Cologne, Barcelona, Madrid and at culminated at London’s Barbican Centre on 19 March. “Mead makes a chilly seducer, magnetic but horribly impassive. It’s a physical performance that’s the twin of his vocal delivery, which brings both Brittenish purity and Baroque power to bear on music that’s tainted even as it is exquisite. His duets with Hannigan are indecently sensual, sparking harmonics that ripple back through the orchestra. "The countertenor Tim Mead sings the Boy and looks the part. With his melting, pure sound, he shapes expressive phrases beautifully." "Tim Mead's stunningly pure, otherwordly countertenor in the role of the Boy..."
"The baritone Christopher Purves, the original Protector, brings a stentorian voice and imposing swagger to the role, while projecting the words with impressive clarity." "Christopher Purves was firm, sinister and aching in the role of the Protector, desperate to keep a shifting world under his control." Following the tour, Purves travels to Houston Grand Opera to appear as Alberich in Wagner Siegfried, and this summer he sings the Gamekeeper in Janacek The Cunning Little Vixen at Glyndebourne Festival Opera. Mead appears this spring at Theater Basel, as part of their Melancholia programme, and this summer can also be seen at Glyndebourne, singing Oberon in Britten A Midsummer Night’s Dream. Christopher Purves travels to Canada this month to sing the role of Alberich in Canadian Opera Company’s production of Wagner Siegfried in Toronto from 23 January 2016. François Girard’s production is the latest in a busy season of Wagner for Purves, who recently sung Alberich in Götterdämmerung at the Bayerische Staatsoper in Munich, and later this season he also takes the role in Siegfried for Houston Grand Opera. This summer, Purves returns to Glyndebourne Festival Opera to sing the role of Gamekeeper in Janacek’s The Cunning Little Vixen. The production marks Purves first return to Glyndebourne since his critically-acclaimed performance in the title role of Handel Saul, which prompted the Times to comment on the “commanding presence” of "Christopher Purves’s magnificently insecure, vindictive and snarling Saul”. Siegfried premieres at the Canadian Opera Company on 23 January, with performances running until 14 February. Christopher Purves travels to Munich this month, where he sings the role of Alberich in Andreas Kriegenburg’s production of Wagner’s Götterdämmerung at Bayerische Staatsoper from 13 December 2015. Under the baton of Kirill Petrenko, the cast also features Lance Ryan as Siegfried, Markus Eiche as Gunther, Hans-Peter König as Hagen, Petra Lang as Brünnhilde and Eri Nakamura as Woglinde. Purves has previously sung Alberich in Das Rheingold for Houston Grand Opera, and sings the role in Siegfried later this season for the Canadian Opera Company and Houston Grand Opera. Purves recently made his Opera de Paris debut in Shoenberg’s Moses und Aron, and reprises the role of Protector in George Benjamin’s Written on Skin later this season on tour with the Mahler Chamber Orchestra. Following his triumph this season in the title role of Handel Saul, Purves also returns to Glyndebourne Festival Opera as Gamekeeper in Janacek’s Cunning Little Vixen. 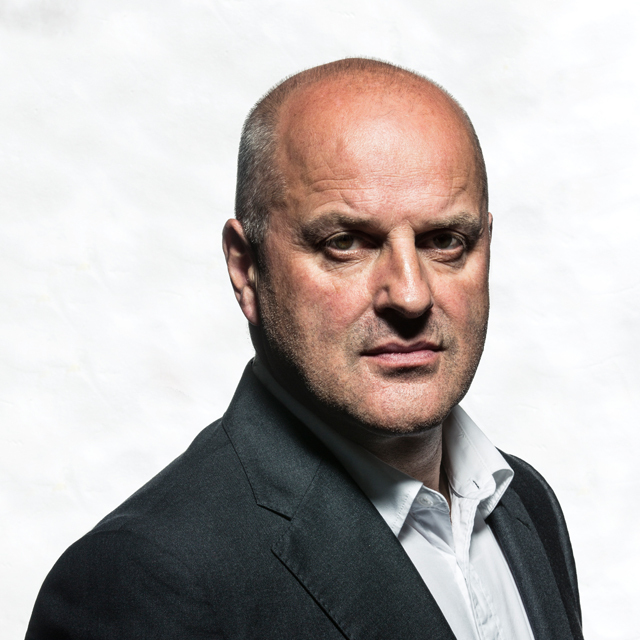 Following his Opera de Paris debut in Schoenberg’s Moses und Aron in October, Christopher Purves returns to the concert platform this November. On 2 November 2015, he sings Polyphemus in Acis and Galatea with La Nuova Musica at St John’s Smith Square, alongside Ed Lyon and Katherine Manley in the title roles and conductor David Bates. In the tradition of 18th century theatre and opera, the performance will be scented throughout by Sarah McCartney of 4160 Tuesdays. Later in the week, Purves sings Mozart’s Requiem at St Paul’s Cathedral with the Royal Philharmonic Orchestra on 5 November, as part of John Rutter’s 70th Birthday Concert. The performance is conducted by Rutter himself, and also feature the London premiere of his The Gift of Life: Six Canticles of Creation. Purves then travels to Boston for three performances of Handel’s Messiah on 27, 28 and 29 November with the Handel and Haydn Society and Music Director Harry Christophers. Purves is joined by fellow soloists Sophie Bevan, Emily Marvosh and James Gilchrist. Christopher Purves makes his Opéra de Paris debut this month as Ephraimite in Schönberg’s Moses und Aron, which opens on 17 October 2015. This new production at the Opéra Bastille is directed by Romeo Castellucci and conducted by Philippe Jordan, and also stars Thomas Johannes Mayer, John Graham-Hall, Julie Davies, Catherine Wyn-Rogers, and Nicky Spence. Purves has had a busy year, earning rave reviews for performances throughout the UK and US. After a successful run in the title role of Gianni Schicchi at Opera North, he appeared as Golaud in the Welsh National Opera’s production of Pelléas et Mélisande, and travelled to New York for the United States premiere of George Benjamin’s Written on Skin. He then returned to Glyndebourne Festival Opera to star in the title role of Handel’s Saul, to critical acclaim. Later this season, Purves sings Alberich in Wagner’s Götterdämmerung at the Bayerische Staatsoper in Munich, and then in Wagner’s Siegfried at Canadian Opera Company and Houston Grand Opera. Christopher Purves and Tim Mead perform at the Lincoln Center’s Mostly Mozart Festival staging of George Benjamin’s Written on Skin on 11 August, in its highly-anticipated United States staged premiere. Christopher Purves reprises the role of Protector, which he originated, and Tim Mead sings the role of the Boy/First Angel. Written on Skin premiered in 2012 at the Aix-en-Provence Festival, and had its UK premiere at the Royal Opera House, Covent Garden in 2013. Called by Le Monde “the best opera written in twenty years,” Written on Skin is based on a medieval legend of the troubadour Guillaume de Cabestanh, and deals with modern themes of love, passion, cruelty, and revenge through the lens of the 12th-century tale. Under the direction of Katie Mitchell, the cast also includes Barbara Hannigan, reprising the role of Agnès, and Victoria Simmonds and Robert Murray as Angels 2 and 3. Alan Gilbert will conduct the Mahler Chamber Orchestra in three performances on 11, 13 and 15 August. 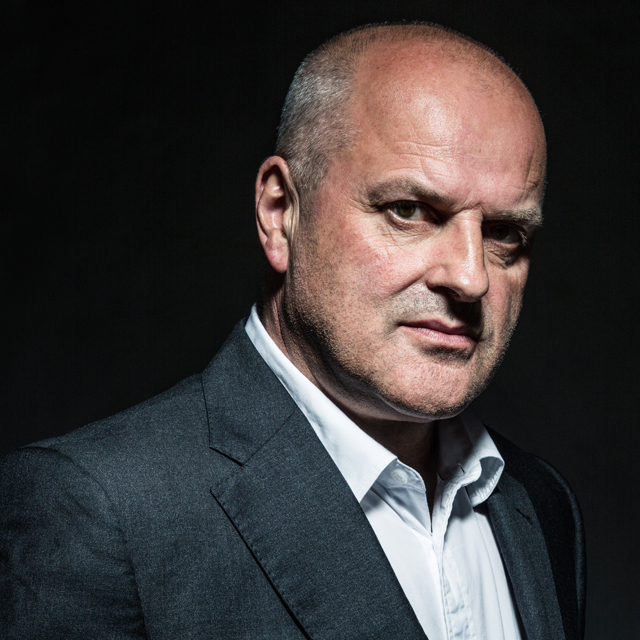 Coming straight off his recent triumph as Golaud in Pelleas et Melisande with Welsh National Opera, Christopher Purves has achieved another major success in the title role of Handel Saul at Glyndebourne Festival Opera. Under the direction of Barrie Kosky and the baton of Ivor Bolton, the production has received glowing reviews, in particular for Purves’ portrayal of the mad king. "Christopher Purves's magnificently insecure, vindictive and snarling Saul gets madder and madder... Purves's commanding presence." "And what Purves does with the part is extraordinary: by turns pathetic, murderous, and ridiculous, he becomes the real subject of the drama, but rather than being gawpers in Bedlam we are brought to an infinitely more compassionate place." "Christopher Purves is astonishingly physical in the central role of Saul; he may not have any of the oratorio's greatest arias, but everything he does is freighted with meaning. The way in which his envy of the triumphant David morphs into murderous hatred is graphically charted right up to his confrontation with John Graham Hall's pendulous-breasted Witch of Endor, still crazily suckling after all these years." "Christopher Purves, riveting as the volatile Lear-like figure of Saul... the sheer vindictiveness of his acting and his enunciation carries all before him." "Christopher Purves's portrayal of Saul is a huge and disturbing performance, his singing and acting every bit as tragic as his unscripted outbursts of mania." 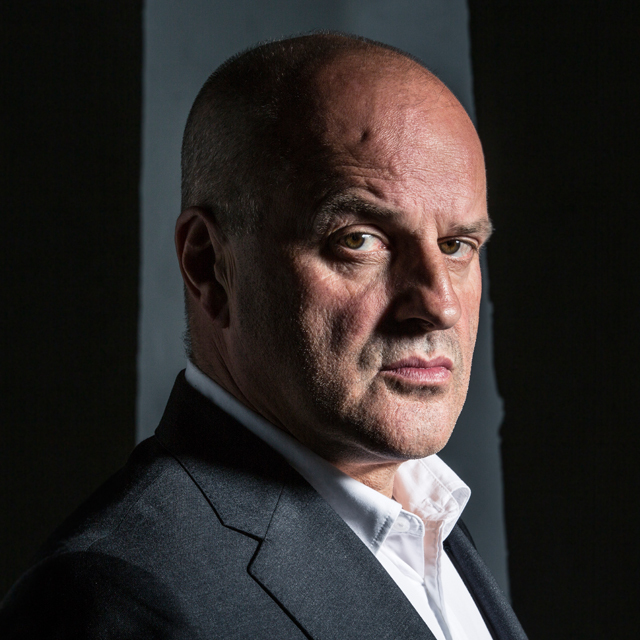 "Christopher Purves acts the role of Saul with alarming conviction." "Christopher Purves' account of the title role was truly Lear-like, as he depicted Saul's complete descent into madness. The occasional mad episodes in the first part turning into complete ravings in the second. It was a truly fearsome and mesmerising performance, and Purves was gripping in his singing of Handel's music (Saul hardly gets a proper aria, the role is almost all recitative and arioso). But the performance came at some cost to the music, as Purves created the sense of madness by distorting the vocal line (thankfully only occasionally), and by adding extra spoken contributions to create intense theatre." "Christopher Purves is a magnificent Saul, veering Lear-like from towering rage (‘I will do such things!’) to demented anguish yet always producing steady, truly Handelian line." Purves appears in further performances of Saul on July 26 29, August 1, 17, 20, 22, 25, 27 & 29. Christopher Purves sings the title role in Barrie Kosky’s production of Handel Saul at Glyndebourne Festival Opera from 23 July 2015. Ivor Bolton conducts the Orchestra of the Age of Enlightenment and a cast including Iestyn Davies, Lucy Crowe, Sophie Bevan, Paul Appleby, Benjamin Hulett and John Graham-Hall. This new production marks the Glyndebourne premiere of Saul, and the company debut of Australian director Barrie Kosky. After its opening on 23 July, Saul will run until 29 August. Jacques Imbrailo reprises the role of Pelléas in Debussy’s symbolist masterpiece Pelléas et Mélisande at Welsh National Opera on 29 May 2015, with Christopher Purves singing the role of the prince Golaud. This is his second role at WNO this season, having made his role debut there as Papageno The Magic Flute in February 2015. This summer, Purves can also be heard in the title role of Handel Saul at Glyndebourne, and the role of Protector in George Benjamin Written on Skin at Lincoln Center. Pelléas et Mélisande runs from 29 May until 06 June, conducted by Lothar Koenigs and directed by David Pountney. Christopher Purves performs with conductor and harpsichordist Richard Egarr and the Academy of Ancient Music at the Barbican Hall on 3 April. In this Easter performance of Bach St. Matthew Passion, Purves and Egarr will be joined by tenors James Gilchrist and Andrew Kennedy, soprano Elizabeth Watts and alto Sarah Connolly. Later this month, Purves will travel to Dortmund, Germany for a performance of Bernstein A Quiet Place with Ensemble Modern, under the baton of Kent Nagano. Purves has long been a leading interpreter of twentieth century and contemporary roles, and previously sang the role of Sam A Quiet Place at the Konzerthaus Berlin. The cast will also include Siobhan Stagg, Benjamin Hulett, Jonathan McGovern, Aaron Pegram, and Gorton Bintner, and the performance will take place on 28 April at Konzerthaus Dortmund. Christopher Purves embarks on a tour of Australia from 27 November, singing Handel’s Messiah with four major orchestras. The tour also features soprano Siobhan Stagg, counter-tenor Christopher Field, tenor Richard Butler and will be conducted by Matthew Halls. On 27 and 28 November Purves joins the Adelaide Symphony Orchestra for performances featuring the Adelaide Chamber Singers. He then travels to Perth for two further performances with the West Australian Symphony Orchestra and Chorus (5 and 6 December), followed by performances with the Melbourne Symphony Orchestra and Chorus (13 and 14 December). After leaving Australia, Purves travels to Washington DC for a further four performances of the Messiah with the National Symphony Orchestra at the John F. Kennedy Center for the Performing Arts. These four performances (18, 19, 20 and 21 December) will feature soprano Sherezade Panthaki, counter-tenor Jay Carter, and tenor Thomas Cooley, and will be conducted by Nicholas McGegan. Christopher Purves joins conductor Paul McCreesh and the Gulbenkian Orchestra for performances of Mussorgsky Songs and Dances of Death on 9 and 10 October. The concerts, which take place in the Grande Auditório, Lisbon, also feature Tchaikovsky Swan Lake. Purves has recently returned from the Brisbane Festival, where he reprised the role of Walt Disney in Philip Glass’ The Perfect American to much acclaim. He returns down under in December this year for a tour of Handel Messiah performances in Adelaide, Perth and Melbourne, but prior to this will perform Handel La Ressurrezione with the Berliner Philharmoniker, Faure Requiem with the Royal Liverpool Philharmonic Orchestra and Haydn Creation with the Oslo Philharmonic. Christopher Purves performs Handel’s La resurrezione with the Berliner Philharmoniker on 29, 30 and 31 October, under the baton of renowned early music interpreter Emmanuelle Haïm. Purves joins a distinguished line up of soloists, which includes sopranos Camilla Tilling and Christiane Karg, contralto Sonia Prina and tenor Topi Lehtipuu. All three performances take place at the Berliner Philharmonie, and the final concert will be broadcast on the Digital Concert Hall. Purves recently collaborated with Haïm and her ensemble, Le Concert d’Astrée, on a tour of performances of Handel’s Messiah, for which he was joined by Intermusica counter-tenor Tim Mead. The tour featured a commercial recording of the Messiah, which is due for future release. 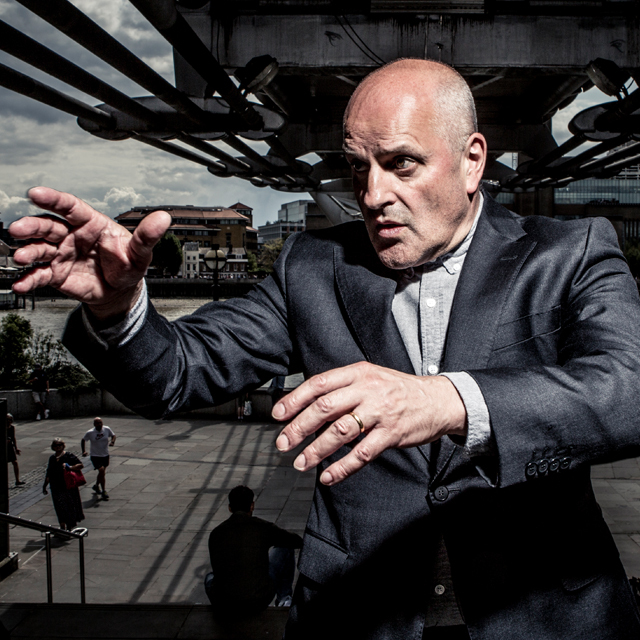 Intermusica is delighted to announce the signing of British baritone Christopher Purves. A versatile and charismatic performer, Purves has received much praise for his recent interpretations of a diverse range of roles, which include Falstaff, Alberich Das Rheingold, Balstrode Peter Grimes, Wozzeck, Beckmesser Die Meistersinger von Nürnberg, Sharpless Madama Butterfly and Tonio Pagliacci. As well as his recent roles in core opera repertoire, Purves has a great affinity for contemporary music and has sung roles in a number of notable premieres, most recently singing Walt Disney in the world premiere of Phillip Glass’ The Perfect American at Teatro Real Madrid and English National Opera. He also premiered George Benjamin’s Written on Skin to widespread critical acclaim at the Festival d’Aix en Provence in July 2012, reprising his role of Protector in subsequent productions at the Royal Opera House, Bayerische Staatsoper, Netherlands Opera, Théâtre du Capitole de Toulouse and L’Opera Comique de Paris. Purves is also an established singer of Baroque music, performing most recently with the Orchestra of the Age of Enlightenment, Academy of Ancient Music, Gabrieli Consort and Le Concert d'Astree. His solo disc Handel's Finest Arias for Base Voice with Jonathan Cohen and Arcangelo (released on Hyperion) was critically praised, with Purves being noted as a "natural champion" (Opera Magazine) of Handel's Music. Other recent highlights on the concert platform include appearances with the Gewandhausorchester Leipzig, BBC Symphony Orchestra and Scottish Chamber Orchestra.